The Foundation has supported 19 year old musician Ben Lowe since 2012, awarding him grants from the Edmond Castle Educational Trust and Cumberland Educational Foundation. When Ben was 15, funding gave him the opportunity to attend the Junior Royal Conservatoire in Scotland, aimed at young people who show above average musical ability and potential, together with the necessary commitment and determination to study at a high level. Ben, from Carlisle, was subsequently offered a place at Chetham’s School of Music to study for his A Level course. However, to progress his training, he needed an instrument that was equal to his level of playing and a grant contributed to the cost of a French horn. 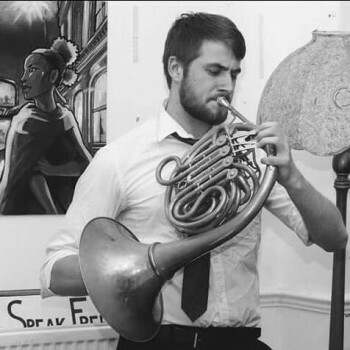 Last year, a further grant contributed to costs for Ben to study BMus (Hons) Music degree in Classical horn at Guildhall School of Music and Drama. It also allowed him to be involved in projects that support the wider community, such as teaching music lessons to inner city primary school children.